After tonight's JV debate, Carly Fiorina is the new black. I've followed Fiorina's career for years, read books on the Hewlett-Packard board battles, and seen Fiorina speak at a small event. From what I've gathered, Fiorina was an outstanding saleswoman who talked her way up the corporate ladder. She exudes confidence and competence. But her management record is highly questionable. 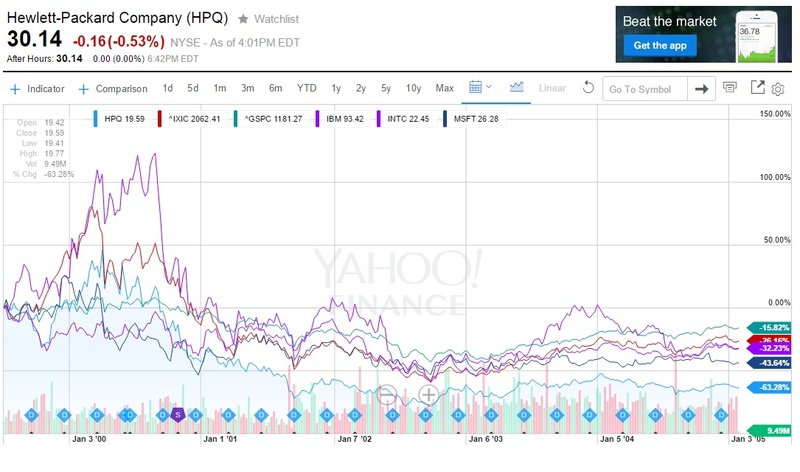 Here's the stock price performance of HP during her tenure, along with the S&P 500, the Nasdaq, and old-tech peers IBM, Microsoft, and Intel for comparison (click the image to enlarge). Hewlett-Packard underperformed the indexes and its peers from the time of Fiorina's hiring until she was forced out by the board for poor performance. Is this just an issue of short-termism, and was Fiorina's decision to take on billions in debt to acquire Compaq a brilliant long-term strategic move? Hardly. Here are the longer-term results. Hewlett-Packard remains underwater to this day, after its peers have long since rebounded. 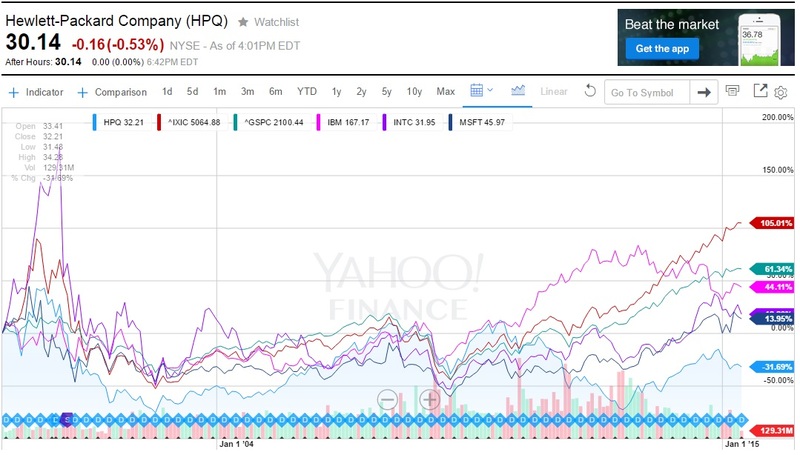 Talk to any HP employees who were there during Fiorina's tenure. She was widely disliked, largely due to the mass layoffs and the destruction of the H-P culture. But shareholders fared just as badly. Yes, she's a great debater, using the same excellent speaking skills that brought her to the top of corporate America. But, Republicans, don't think her mediocre management history won't be an issue if she's on the ticket. Nice research, thanks. Linked on The Liberator Today.